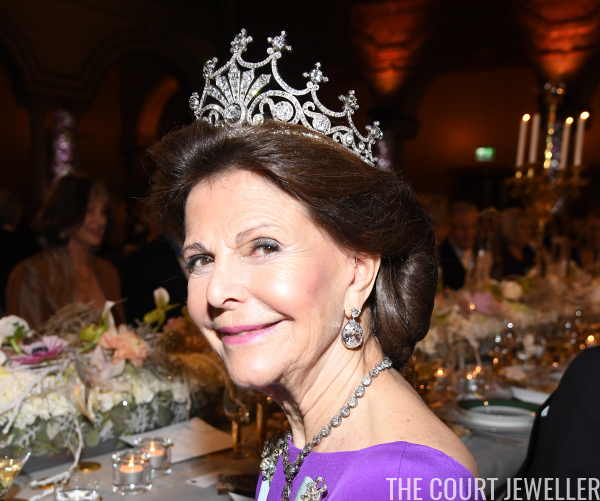 Next up in our detailed recap of this year's Nobel jewels in Sweden: Queen Silvia, who did not surprise a single bit with her tiara choice! 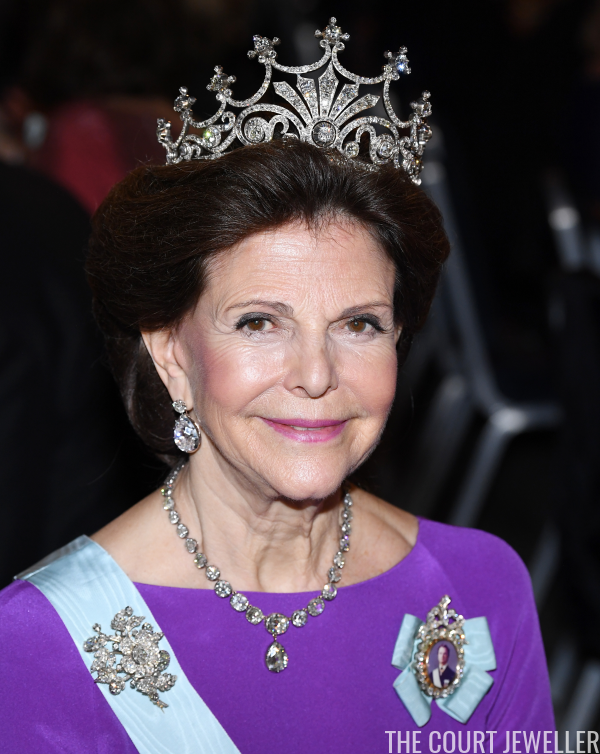 For years now, Queen Silvia has alternated between two tiaras -- the Leuchtenberg Sapphire Tiara and Queen Sofia's Tiara. 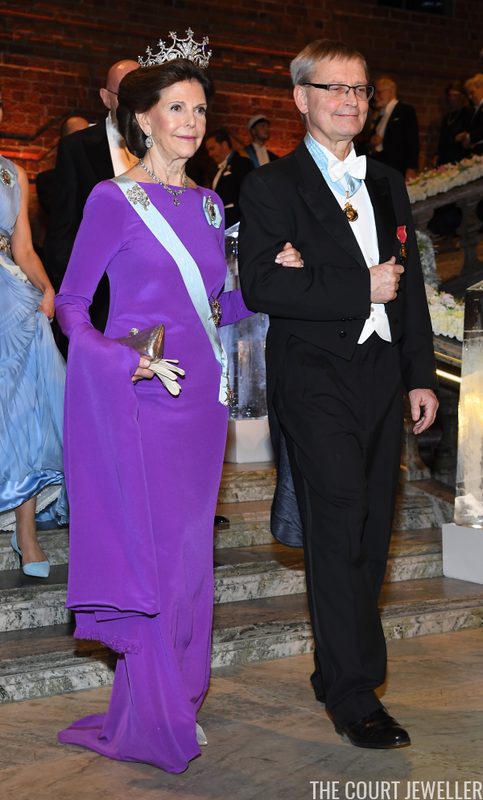 This year, she continued the pattern by wearing Queen Sofia's Tiara, which is better known to many of you as the "Nine-Prong Tiara." Learn more about the sparkler over here. 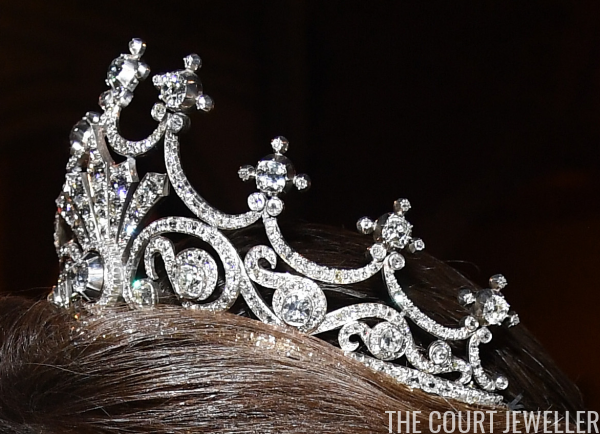 Here's another view of the detailed tiara from tonight's appearance. 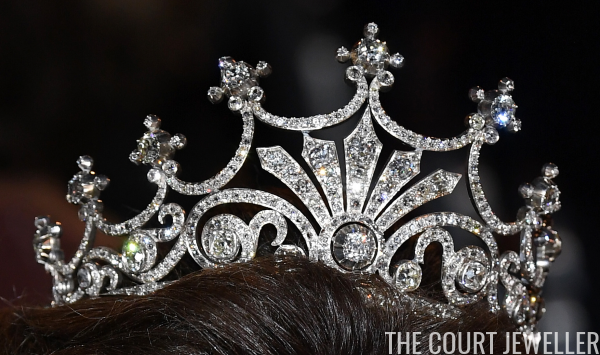 The tiara is notoriously difficult to wear, and in some photographs from the banquet, it does appear to be a bit askew on Silvia's head. 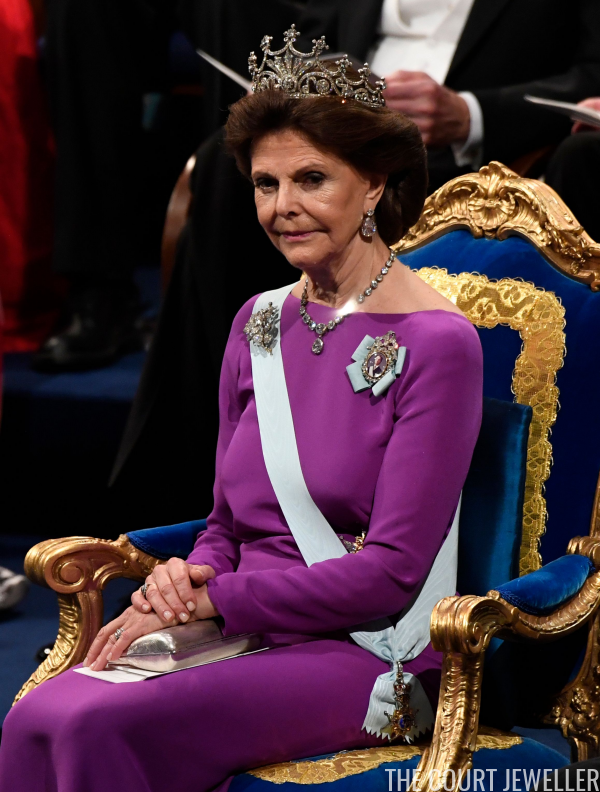 But anyway -- she paired the tiara with jewels from the grand Brazilian (or Braganza) Parure, including the suite's beautiful diamond floral brooch. 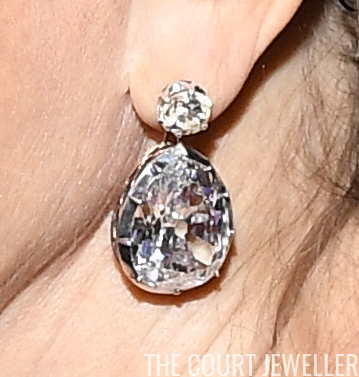 Here's a better look at the enormous pear-shaped diamond earrings from the set, worn tonight by Silvia. Here's a look at Silvia's entire ensemble. She's worn the dress before, including a memorable appearance in Germany when she paired it with German family jewelry pieces. (More on that event over here!) The color choice was particularly timely: Pantone just announced that "ultra violet" is the color of the year for 2018. It's always fascinating to me how much lighting can affect the way the color of a dress appears -- here's a view of Silvia during the prize ceremony, where the dress appears warmer and redder in tone.